The article explains macrobiotic history and helps understand what has created modern macrobiotics. The word macrobiotics was first used by the German physician Dr. Hufeland who published his book Macrobiotics: The Art of Prolonging Life in 1796. In 1793 he was called to the chair of medicine at Jena. His focus was on a diet of natural foods. Although primarily vegetarian he did include some animal foods. His books were later published in Japanese and it is assumed that George Ohsawa, generally considered the founder of macrobiotics, became familiar with his ideas whilst formulating his own philosophy on diet and health. George Ohsawa had recovered from tuberculosis of the lung and colon in 1911 using a diet recommended by Doctor Sagen Ishizuka. Doctor Ishizuka was a military doctor and during the late 1800s had great success in helping many people recover from the serious health problems of the time. He carried out many clinical trials and published two large volumes of his works. His theory was that the correct balance of potassium and sodium as well as acid and alkaline in the human diet leads to good health. Sagen Ishizuka published Chemical Theory of Longevity, published in 1896, and Diet For Health, published in 1898. Sagen Ishizuka’s followers created a group called Shoku-Yo-Kai or Right Food Club in 1907. George Ohsawa was so grateful for his new lease of life he dedicate the rest of his life to continuing Doctor Ishizuka’s work. George Ohsawa’s name evolved over the years. Originally Yukikazu Sakurazawa, he shortened to Joichi Sakurazawa and then Joichi Ohsawa. He finally decided to adopt a similar sounding western name and became George Ohsawa. George Ohsawa became part of the ‘Right Food’ club, promoting healthy eating and eventually rose to president. He later left Shoku-Yo-Kai and formed his own group with a greater philosophical emphasis. Following Hufland’s lead George Ohsawa used the word macrobiotic, joining the Greek words macro meaning great and bios meaning life. His intention was to create a diet and philosophy to help people live a great life, to live life to the full. Having come so close to death every day was a gift and George Ohsawa was determined to make the most of the rest of his life. 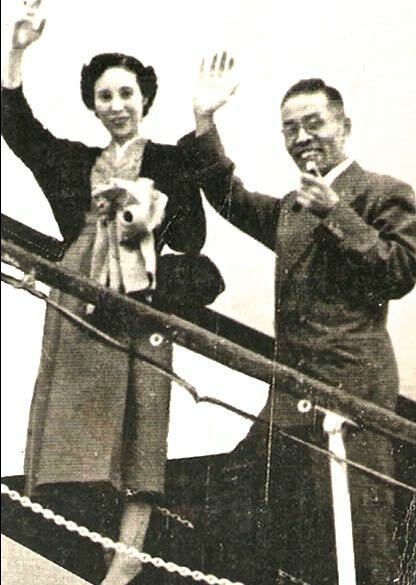 Perhaps as a result of his near death experience Ohsawa put a huge emphasis on appreciation and made it one of seven essential criteria for good health. From his writings he clearly felt life was precious and had little patience with those who did not fully engage in life and did not treat their bodies with respect. 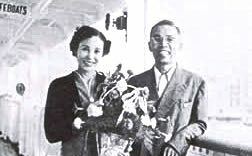 Ohsawa developed a macrobiotic philosophy to go with the Doctor Ishizuka’s ideas on food and wrote nearly three hundred books and pamflets during his lifetime. The foundation for macrobiotics was that each of us are responsible for our own life and health. At the time this was a radical and pioneering thought. People tended to just live their life and when they were ill went to a doctor for medicines. There was little consideration given to diet. George Ohsawa travelled extensively spreading his macrobiotic message wherever he went. He ran courses on macrobiotics and in Japan trained a group of students to go out into the world and spread macrobiotic thinking to other continents. George Ohsawa students Michio and Aveline Kushi, Herman and Cornelia Aihara and Shizuko Yamamoto moved to North America. Others were to go to France, Germany and Brazil. Their greatest achievement was to successfully popularize a huge range of Japanese and Chinese ideologies, practices and products in the west, pioneering the health food movement. Under their macrobiotic umbrella came shiatsu, Do In, nine ki astrology, meditation, reiki, chanting, the I Ching, and diagnosis. Macrobiotic centres and communities sprouted up throughout America and Europe during the late 1970s becoming the place to go if you wanted to learn about ki energy, yin and yang, the five elements, trigrams and karma. During this time there was a huge explosion of interest in everything from the east. Michio and his colleagues were also responsible for bringing tofu, miso, sea vegetables, umeboshi plums, bancha tea, to the west. When I first went to America it was even common for people involved in macrobiotics to make their own futons. Members of the macrobiotic community embraced acupuncture, aikido, tai chi helping them get established. Inevitably many of the practices that were associated with macrobiotics in America and Europe grew up and eventually left the macrobiotic family. As time went by even subjects like ki, yin and yang and the five elements were no longer seen as special to macrobiotics. Macrobiotic ideas that were pioneering in the late seventies, early eighties became mainstream by the 1990s. Logically the pool of new things to bring to west dried up and this coincided with a time when more and more people came to macrobiotics to recover from serious health problems, largely fuelled by Dr. Sattilaro’s book ‘Recalled by Life’ published in 1982, which charted his recovery from cancer by eating a macrobiotic diet. Now macrobiotics took a more serious turn with the emphasis on healing. As the successes grew and more people wrote books about their recovery from various forms of cancer through macrobiotics the whole macrobiotic diet became know as a cancer cure diet. One of the results of this was that the diet itself became more focussed and clear. George Ohsawa had put the emphasis on how to choose healthy macrobiotic foods rather than list out all the recommended macrobiotic foods along with the different ways to prepare them. Using his immense experience in healing Michio Kushi detailed what he described as the standard macrobiotic diet. The popularity of macrobiotics with those recovering from serious illness meant that the diet and approach became more purist, with the focus on clean, simple, healing foods. This tended to put off people who were looking for a general healthy life style and even gave the macrobiotic approach the reputation of being extreme despite being broadly in line with recommendations from the World Health Organisation. A new wave of American and European macrobiotic teachers who had been studying under George Ohsawa’s students came to the forefront themselves and at the start of this century macrobiotics slowly moved to being more of a lifestyle with a focus on health, ecology and social justice. In someways this took us full circle and back to George Ohsawa’s original philosophy of living a great life. One of the key philosophical principles of macrobiotics is the ability to embrace change. It is therefore inevitable that macrobiotics itself will continue its fascinating journey and go through more changes and evolve in ways we currently cannot imagine.